Bibiana Steinhaus became the first ever female referee to officiate a German top-flight football match at the weekend – and plaudits for her composed performance have flooded in. Steinhaus made history by taking charge of the Bundesliga meeting between Hertha BSC and Werder Bremen at the Olympiastadion in the German capital, Berlin, on Sunday, which ended in a 1-1 draw. 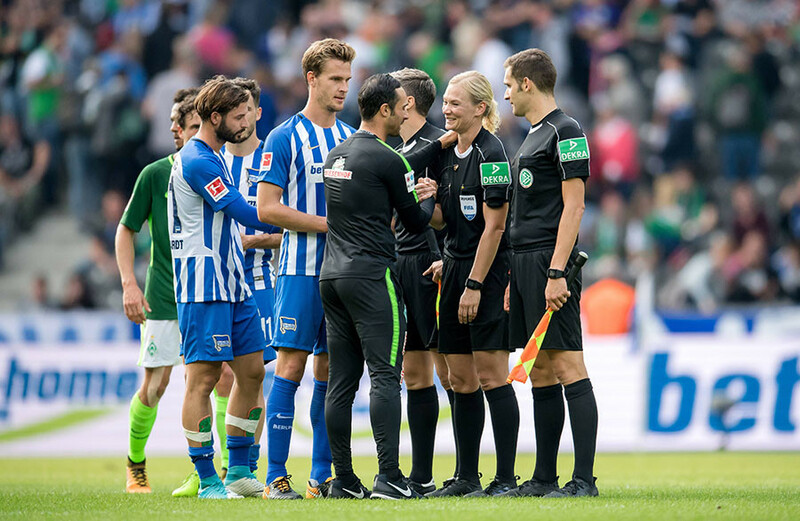 Among the major decisions to present themselves during the course of the game, Steinhaus issued just a solitary yellow card – on the 36th minute given to Hertha midfielder Per Skjelbred – and waved away appeals for two Hertha penalties. The Bundesliga deemed her decisions correct and Steinhuas’ measured performance earned her the ‘Match Day 3's Woman of the Matchday’ award from the league, usually awarded as Man of the Matchday after each round of games. Journalists and football organizations also heaped praise on Steinhaus following her landmark game, viewing it as something of a breakthrough for women in football. 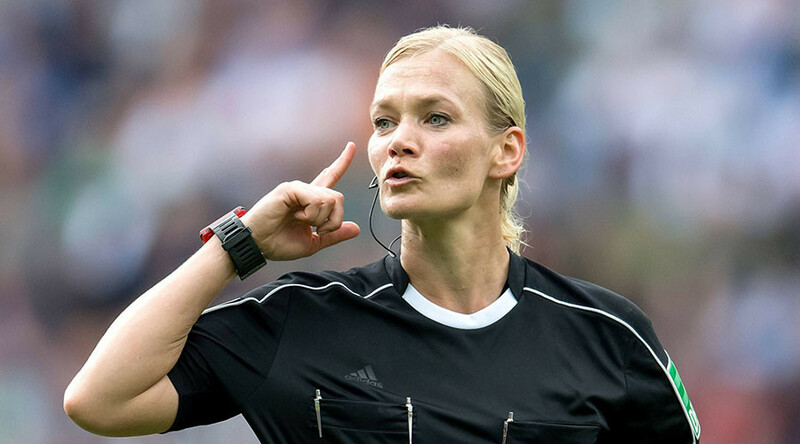 “Huge congratulations to Bibiana Steinhaus – the first female referee in Bundesliga history. What a role model,” UEFA tweeted. “Bibiana Steinhaus just debuted as the first ever female #Bundesliga referee and did a great job. Hope to see her regularly,” Evan Wiess wrote. On their website, Bundesliga stated the 38-year-old "hardly put a foot wrong" in the game and "had a firm hand on proceedings throughout." Matt Ford, journalist for German broadcaster DW Sports, told RT Sport, “There weren't really any controversial decisions to make between Hertha and Werder. She correctly played advantage for Hertha's goal and also correctly waved away two Hertha penalty claims late on. Hanover-born policewoman Steinhaus remained modest in her post-match interview, admitting she was relieved her maiden match was completed, allowing her to get on with being a Bundesliga ref. "I take things one match at a time. I’ve been a referee for more than 20 years now and during that time I’ve experienced many wonderful things but have also had to overcome a few setbacks. I’m delighted and grateful to have the chance to officiate in the Bundesliga," she told FIFA. 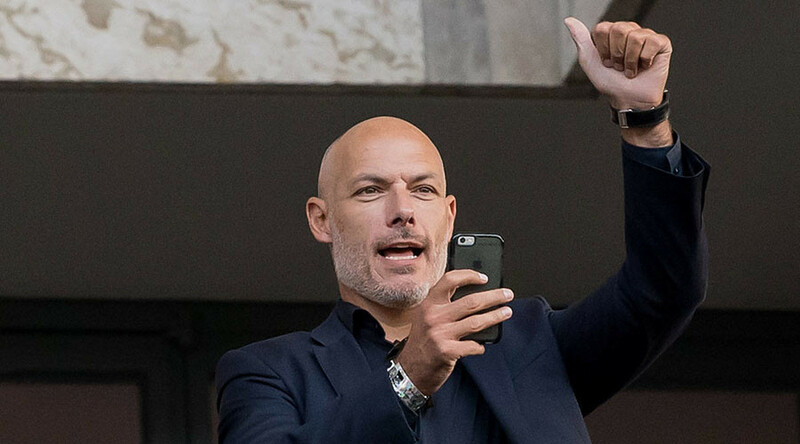 The match was observed by her current partner – 2010 World Cup final referee Howard Webb – who watched from the stands, where Hertha also offered half-price tickets to female fans.